A striking and original hand marbled and designed hot water bottle from the much sort after Whitehorn label. This is the perfect gift for someone that wants to beat the winter blues in luxury and style. The beautiful and original hand painted design comes from the award winning British designer Janey Whitehorn. The design is created in her studio in Bedfordshire by stretching silk over a frame and working into the silk by using various brushes and techniques. This product is entirely British made. 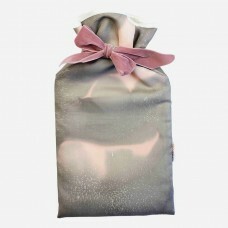 The Rose hot water bottle cover is dyed onto a habotai silk and is a mixture of rose pink and grey in colours. 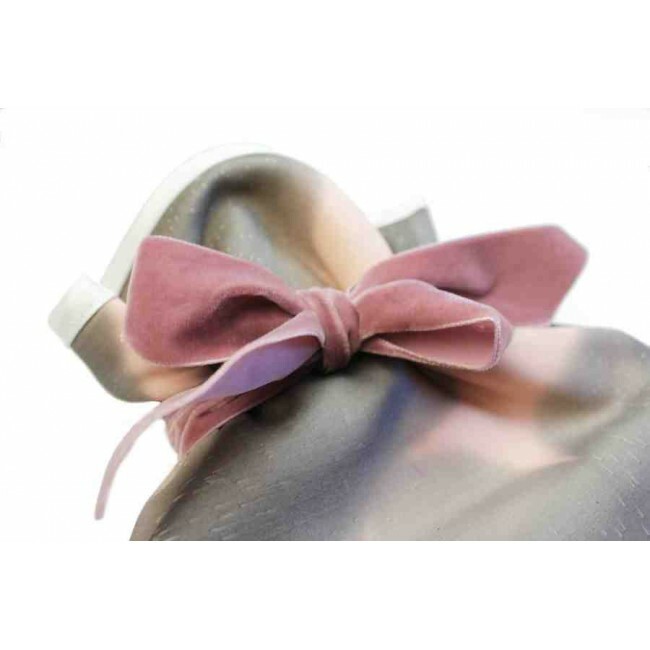 It has an ivory satin trim at the top and a wide antique rose velvet ribbon around the neck. Inside there is an ivory duchess satin lining and it comes with a cream rubber hot water bottle. Each hottie is packed in coral coloured tissue paper and tied with a navy ribbon, making the perfect gift for the cold weather.